What do you think of when you imagine of a seahorse? 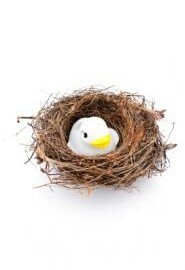 Or when you picture a bird’s nest? The first thing that springs to mind is probably not a delicious meal. Yet in some countries these are vital ingredients for the perfect cuisine. Yes, this dish is literally made out of birds’ nests. Rather than twigs and leaves though, the nests are made from saliva. Yes, you did read that correctly. They’ve been used in Chinese cooking for over 400 years and, at between USD$30 and USD$100 per bowl, the soup doesn’t come cheap. The nests are from the Swiftlet and are thought to provide health benefits including aiding digestion, improving focus and alleviating asthma. This cuisine was first discovered by Cambodians in the time of the Khmer Rouge rule, and has become a popular delicacy among tourists. The dish consists of tarantulas which have been pan-fried and seasoned with garlic and salt. Extremely popular in the Philippines, this is essentially a foetus.. To be precise, it’s a fertilised duck egg which is boiled and served with the shell left on, so the liquid inside can be sipped. Balut are most often eaten between 17 to 21 days old, depending on preference, but as it becomes older the chick has a beak, feathers and bones. Often referred to as ‘insect caviar’, Escamoles are giant eggs of Lipometum ants, and are regarded as quite the delicacy in certain parts of Mexico. The light-coloured eggs have a slightly nutty taste and are often pan-fried with butter and spices. This dish is mostly eaten because it is believed that, by eating a snake live, one will inherit a part of its power and enhance their own strength in doing so. Definitely not one for the faint hearted, pun not intended, diners are able to see the heart being removed in front of them and are likely to feel it beating in their throat as they eat it. Casu Marzu is a type of cheese made from sheep’s milk. This might sound tame, until you realise that it’s riddled with live insect larvae; hence it commonly being known as ‘maggot cheese’. The dish is considered to be unsafe when the maggots have died, so is only usually eaten while they are still alive. This is fermented Baltic herring fish which is caught in spring just before spawning. It’s then fermented in barrels for one to two months before being tinned and fermented further for several months. The fermentation process actually begins in the fish’s own spine, producing bacteria, pungent smelling acids and hydrogen sulphide. The Swedish delicacy is usually eaten with a type of flat bread and boiled potatoes. When opened, the tins release an odour so strong that the dish is usually eaten outdoors. A Japanese study even described a newly opened can of Surströmming as being one of the most putrid smells in the world. One of Korea’s most talked about dishes, this is quite simply a small live octopus cut into pieces and eaten while the tentacles are still wriggling. Apparently the tentacles keep moving whilst being eaten and even try to latch on to the inside of your mouth. In Asia it’s not uncommon to find sea horses boiled in oil and served with mustard sauce in the ‘specials’ section on the menu. Despite being an endangered species, eating seahorses is said to keep you looking young and increase virility! Thailand’s rather interesting ‘Bat Paste’ dish is derived from dropping a live bat into boiling milk, dicing it up into fine pieces, mixing it with herbs and spices and then mashing into a paste to serve. It’s considered to be quite the delicacy in Thailand, but because of the diseases bats are known to commonly carry, it can actually be lethal. So, has the list above whetted your appetite for unusual cuisine? Perhaps it’s given you some ideas for your next dinner party, or inspiration for that future ‘Come Dine With Me’ appearance you’ve got in the pipeline? Or has it put you off food entirely? However you feel, it’s always interesting to learn about the cultural differences that exist around the world. In some countries, the idea of eating tarantulas, snakes or bats is simply unimaginable; yet in others it’s quite the norm. So when visiting a foreign country, just remember that one person’s disgust is another person’s delight!